Unreal Engine 4.7 is our biggest release yet, with the power to render huge numbers of instanced objects in large worlds, beautiful rendering of leaves and foliage, HDR texture support, in-editor animation editing, along with hundreds of optimizations and improvements. 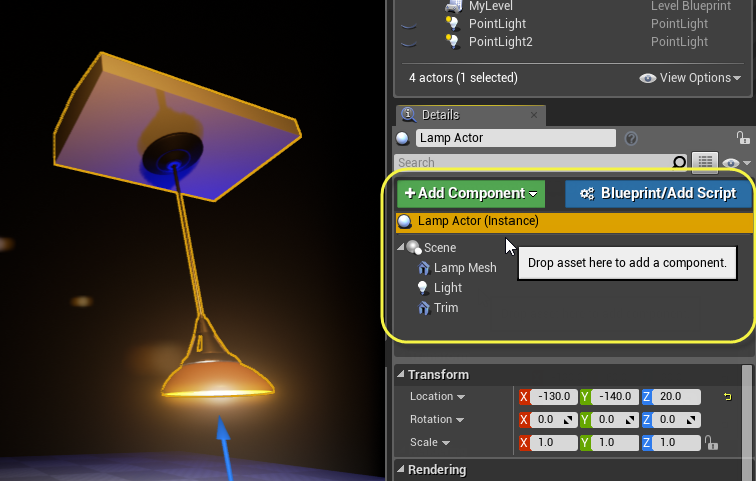 Many highly-requested features have been added: You can now assemble new actors using components right in your level, and even create your own custom component types using Blueprint visual scripting or C++! Speaking of scripting, the Blueprint Editor UI has been redesigned with a clean, unified layout. And it’s never been easier to import content in your project -- Unreal Editor now detects new asset files and imports them automatically! 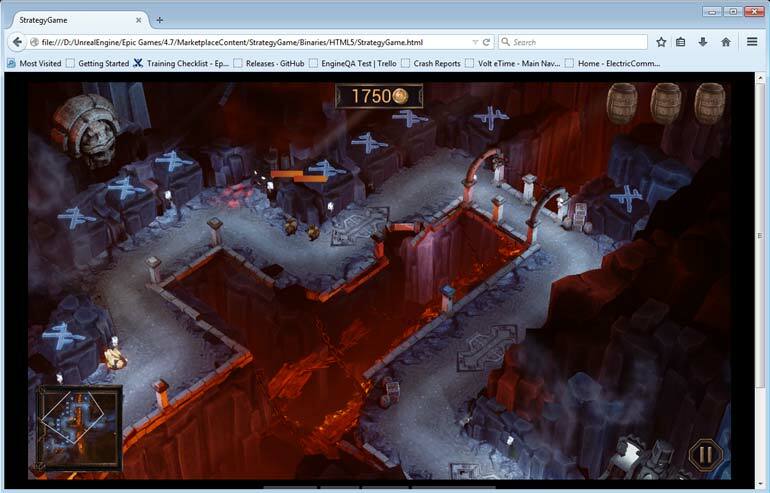 HTML5 platform + WebGL is ready to use -- run your game in a compatible browser with a single click! You can also now build, cook and deploy Android devices on Mac. For virtual reality creators, new “VR Preview” feature immerses you in your world instantly from the editor. In addition, you can now access Leap Motion support if you’re building a code-based project. Finally, we now give you the full C++ engine source code in every release to make learning and debugging even easier! The foliage system has been optimized to to support huge, open environments! We now use a hierarchical system for managing and culling of foliage that scales to millions of instances! Also, we now smoothly transition between mesh LODs with a temporal fade to eliminate the annoying pop when switching LODs! Components can now be added directly to actors placed in your level. This allows you to assemble new actors out of components without having to create a Class Blueprint first. It’s great for experimenting with components and assembling new objects right inside your level. You can now select individual components in the 3D level, move them around using familiar gizmos and edit their properties. After you create something awesome, click “Blueprint / Add Script” to save it as a reusable class or add scripting to it. This will automatically replace your actor with an instance of that class. You can now drag and drop to place “empty actors” right into your level! Empty pawns and characters are supported too. 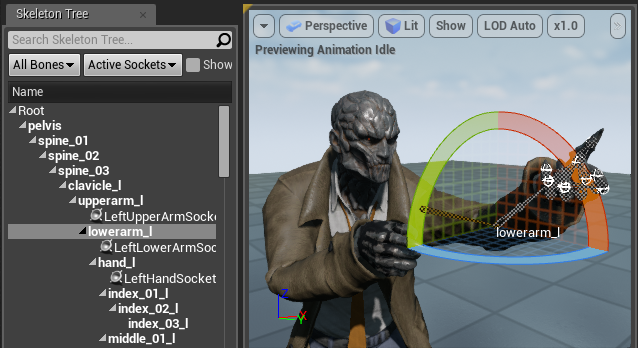 You can use the new in-world component editing features to build up interesting actors right in your level. Create your own component types using Blueprint scripting! You can save these components and reuse them on any actor! Click “Add Component”, then select “New Blueprint Script Component…” right at the top. You can do this on actors in your level, from inside any Actor Class Blueprint, and even from the Content Browser’s “New Blueprint…” window. Choose a Parent Class for your new component. 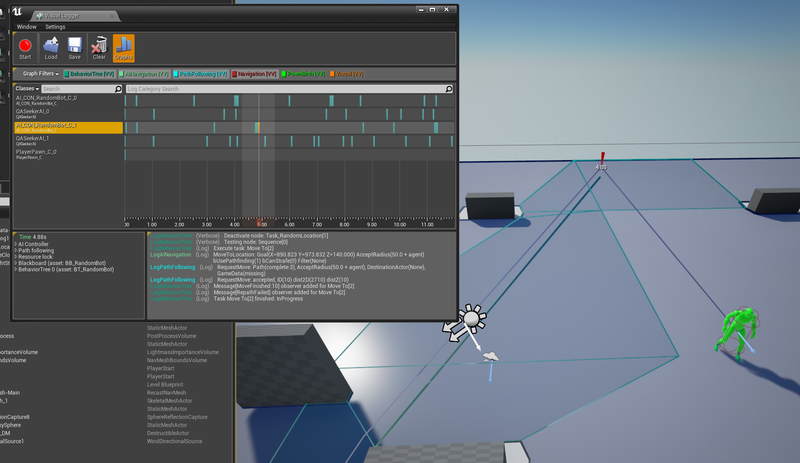 “Scene Components” have a 3D position within the actor, but “Actor Components” only have scripting logic. Here is the fun part -- writing Blueprint script code for your new component. In this example, we rotate the component’s owner (the actor) around the yaw axis every single frame using the Tick event. We named this component “Spinner” because it spins actors around! Now, you can drop the component onto any actor in your scene and they will start rotating when the game begins. Yay, reusable modular functionality! You can also drop it into any normal actor class Blueprint. Your new components can always be found in the “Add Component” menu (under the “Custom” category), and also in the Content Browser like any other asset. Importing meshes, sounds and textures has never been easier. 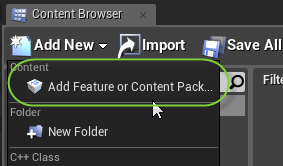 Simply save your source art files under your project’s Content folder, and the editor will automatically import the new files, ready to be used in UE4! If you update these files from an external application, the editor will detect that and automatically reimport your content! This makes iterating on game content much faster. This feature is turned on by default, but you can toggle it using the “Monitor Content Directories” in the “Loading & Saving” section of editor preferences. The Blueprint Editor has been redesigned to be easier to use! All three modes have been unified into a single screen to help streamline your workflow, along with many other improvements. You can now freely rearrange panels, such as the Viewport and Graph views, and even have both on screen at the same time! The "My Blueprint" view has been revamped to be cleaner and sparser, and it’s easier to add new functions and variables. You can now package and run your game in a Web browser through the binary tools you get through the Launcher. Simply install the Emscripten SDK, restart the editor and launcher, then use the Launch drop down to select a web browser! Windows is currently required for HTML5 support. We’re working on Mac for an upcoming release. Your game may take a while to prepare for HTML5, especially the first time, as assets and code in your project are optimized for the web browser. 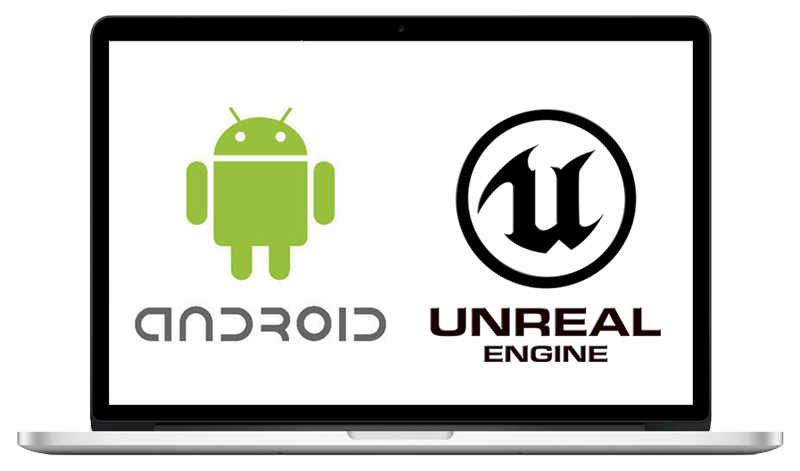 The OS X version of Unreal Engine now fully supports Android development! Mac users can now build, cook and package for Android, as well as deploy to Android devices from the editor or command-line. You will need Java for OS X and the Android SDK (which can be installed using the TADP installer in Engine/Extras/Android). After installing, either restart the editor, or set paths to the SDK in the new Android SDK section in Project Settings. Unreal Engine now includes the full engine C++ source code and debugging symbols when installed using the Launcher! This allows you to seamlessly step into engine code while debugging, and you will have complete call stacks after a crash. You no longer need to compile the engine yourself to get full engine debugging powers. Note that if you want to recompile the engine yourself, you’ll still need to go to GitHub to get all of the required files. We’ve added a new “VR Preview” button to the editor! If you have an Oculus Rift device plugged in, you can instantly play your game in virtual reality. 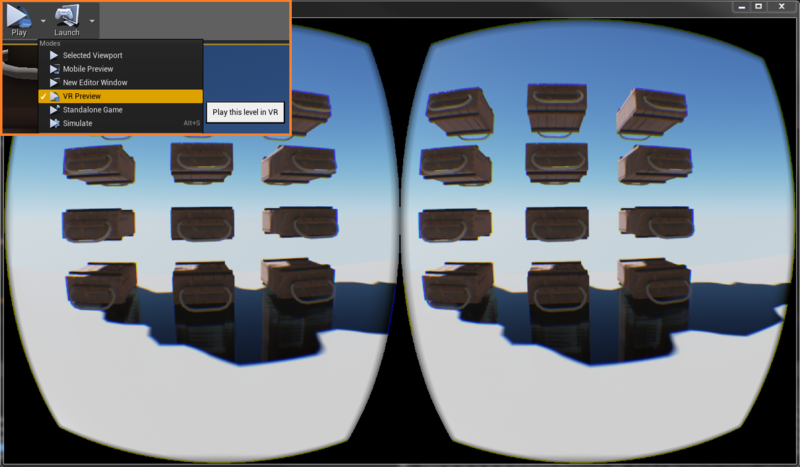 Clicking “VR Preview” will minimize the editor window, and pop up your game directly on the Oculus Rift device. 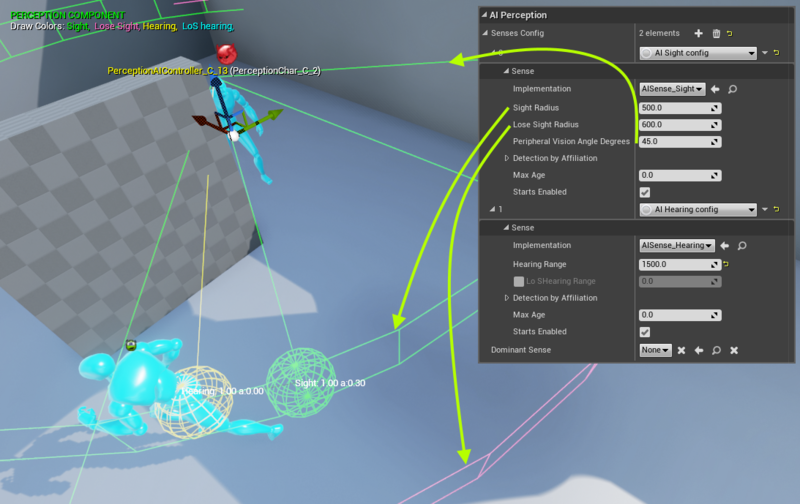 UE4 now ships with support for the Leap Motion device through a plugin. This allows you to use Leap’s hand tracking technology directly in your project. Their API is exposed in both Blueprints and code, so any project can take advantage of the tech. For examples on how to use the plugin, please see Leap Motion’s website at https://www.leapmotion.com. Currently, this plugin is only available to those who build the engine from GitHub, and those who download the plugin directly from Leap’s website. Your game’s C++ classes are now visible in the Content Browser! 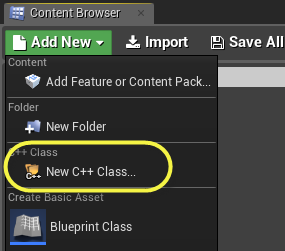 You can easily create new C++ classes right from the Content Browser! It will be automatically compiled and displayed in the editor, ready to use! Double-click on C++ class icons to jump straight to the source code in Visual Studio or Xcode, or right click to create a new class using the selected class as a base. 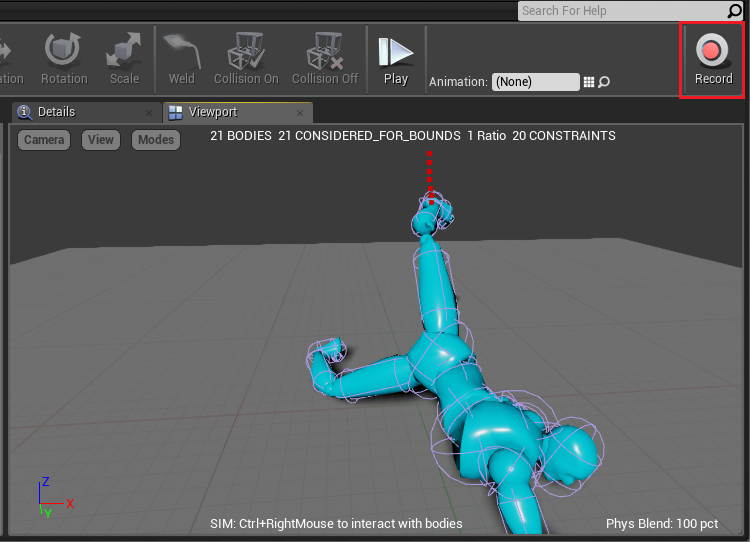 Morph Targets can now be weighted higher than 100%, allowing for exaggerated poses, or below 0% for inverse poses. You can now add new “features” and content to your game at any time using Content Browser! 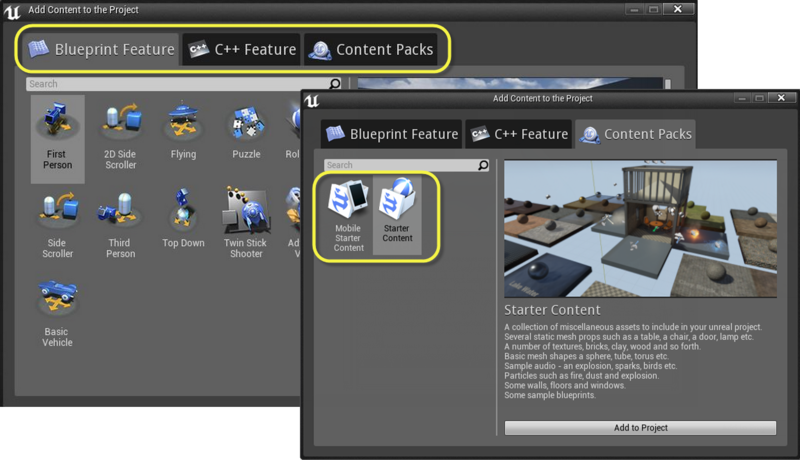 Packs can contain any combination of content, blueprint classes or C++ classes. All existing template project features are available as Feature Packs. So you could add a First Person Feature Pack to your game, and then later on add the Vehicle Feature Pack and be able to use both of these features in your project! In Content Browser, just click Add New, then click “Add Feature or Content Pack…”. The files will be injected right into your project! Many packs may include built-in tutorials, too! Even the Starter Content can be added to your project at any time. In fact, there is a new “Mobile Optimized” Starter Content pack you can choose, too. You can now edit animations right inside the Persona animation tool! 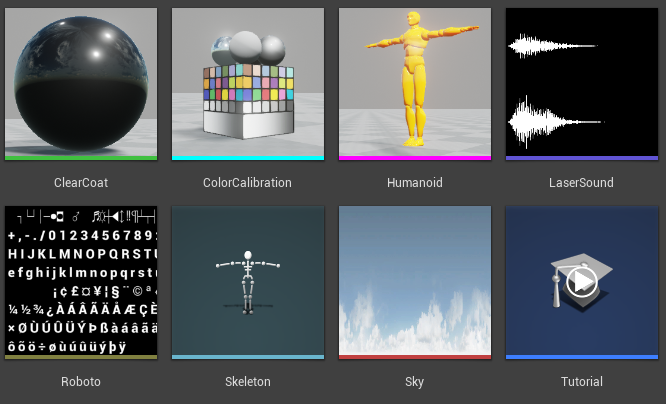 Inside Persona, all of your animation curve edits will be stored on an “additive layer”. If you decide to reimport your original animation, your modifications will be preserved! This layer only exists in Persona. Simply click the “Apply” toolbar button to commit your changes and see the animation in your game! You can also save out a whole new custom animations! 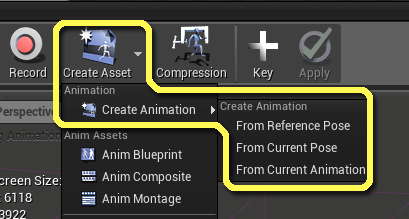 Use the “Create Asset” toolbar button to create animations from either a reference post, or your current pose or animation. Once baked, export will work with the final baked animation. Additive curves are not exported. When you retarget, the curves are not transferred. However, the final baked animation will be retargeted. Bone Controller nodes can now be adjusted interactively using the viewport gizmo, rather than having to recompile each time! Currently this feature works with TwoBoneIK, ModifyBone & Fabrik nodes, but we will be adding more. 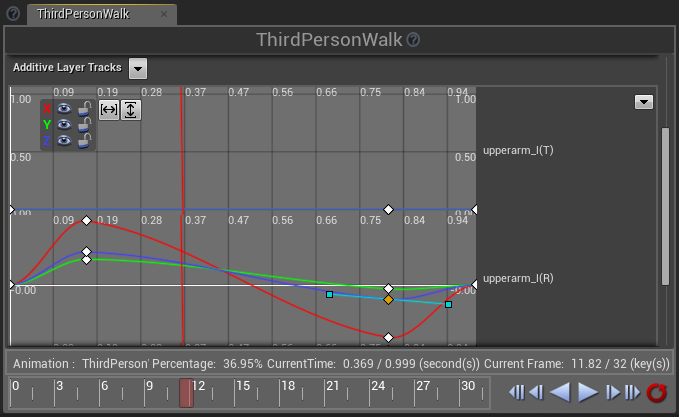 You can now record physics simulation in the physics editor (PhAT) and save that as an animation! Start by clicking "Record" on the toolbar, then interact with your object in the viewport to create an interesting simulation! After you're done, click "Stop" to save the simulation as an animation. You can also capture animation right from your level! Right click on the mesh and select “Keep Simulated Changes” (or press the ‘K’ key) to save an animation! 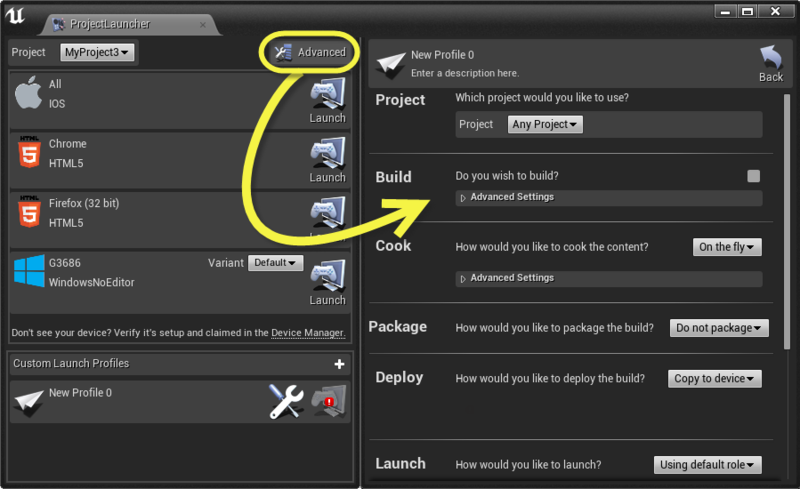 The new Project Launcher interface allows you to easily run or package your game with more control! Project Launcher has features to help test your game on multiple types of devices and configurations, as well as running multiple sessions simultaneously. Launch your project on any connected device, with easily customizable build types and cooking preferences. Use Custom Launch Profiles to create builds specific to your needs. All our advanced options are exposed. Select exactly the content you want to build. Build multiple platforms at once. Package and store builds for others to run, or to run later. 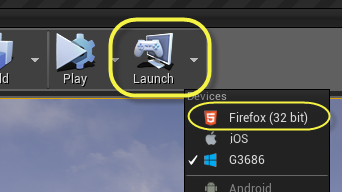 Of course, you can still run your game using the convenient “Launch” button on the main toolbar. But if you need more flexibility, just open up the the Project Launcher from either the “Launch” toolbar drop down menu, or the main Window menu. You can now merge different Blueprints together using the new Blueprint Merge Tool. This tool shows a visual comparison of two Blueprints and assists you in combining them! It’s great for merging versions of a single Blueprint that were modified by different team members. Thanks to community member Sébastien Rombauts for graciously contributing his excellent Git source control plugin to Unreal Engine!! 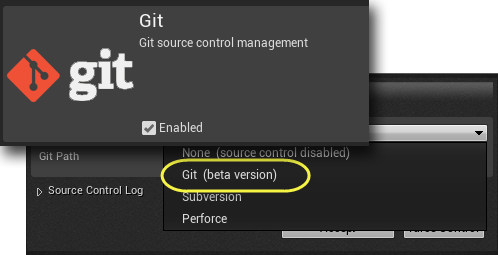 If you connect your project to a Git repository, the editor supports most source control interactions such as adding and removing files, committing changes, displaying file history, diffing files, and displaying the source control status of any asset. 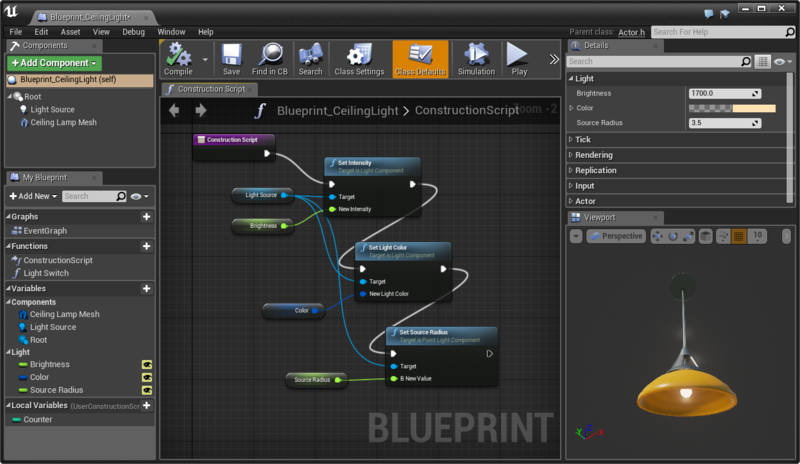 The AI Perception System can now be configured using Blueprint scripts! Just add an AI Perception Component to your AI, then inspect and tweak its properties and events. Each New Project Template now has its very own Overview Tutorial that provides a brief outline of how each of that template’s assets and classes work. Just click the ‘Play’ button on the Tutorial thumbnail in the Content Browser to start it! Content Packs and Feature Packs can also have their own tutorials too! If you add a pack to your project, look for a tutorial that you can play that will teach you about that feature or content pack! Also, both C++ classes and Blueprint classes will now display a live 3D thumbnail when possible, as well as a small icon in the corner that indicates what the parent class is. 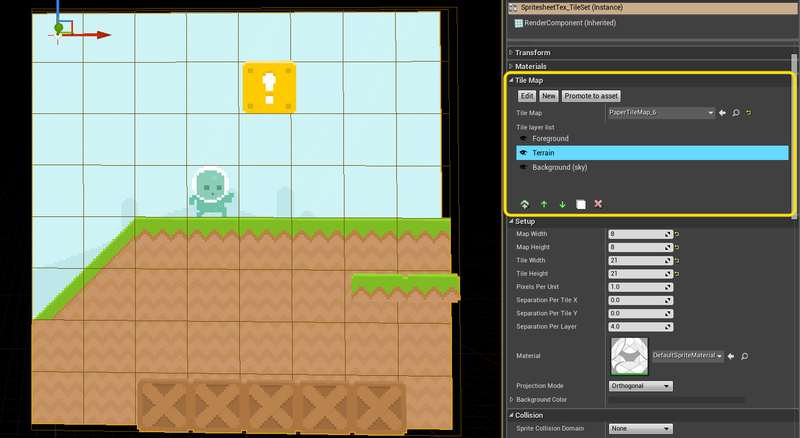 We’ve added lots of useful layer editing features to the Tile Map editor! Flipbooks allow you to create 2D animations out of images that play in a sequence. 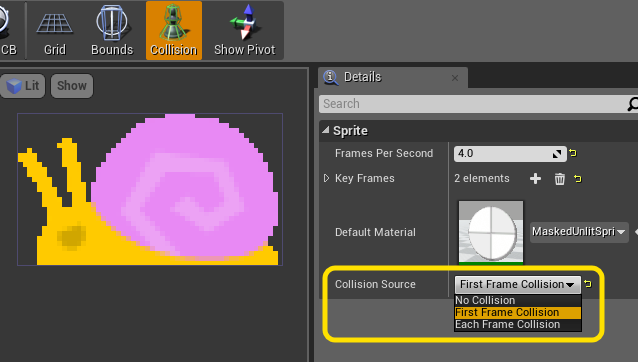 Now, you can define collision properties for your animation frames! You can now create custom Widgets to use as Software Cursors in your project. You can use all the functionality of Unreal Motion Graphics to add text, health meters, tool-tips or whatever you desire to your cursor. Adding cursors to platforms that do not have hardware cursors. For example, a virtual mouse cursor on a console. 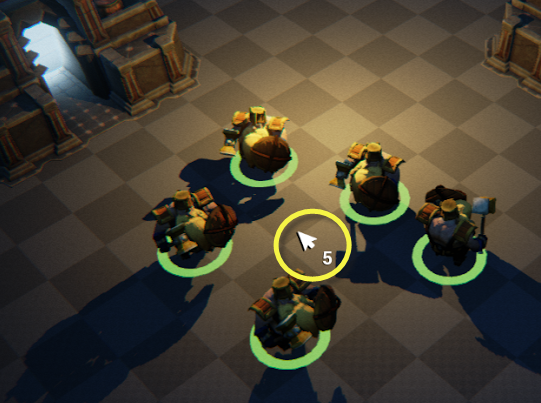 Adding cursors which are visually rich, have animations, or have complicated interactions. Adding cursors that look consistent across PC, Mac, Linux without having to worry about the platform specific formats. You can use the new “User Interface” section of Project Settings to setup your game’s software cursor Widgets. If you do not specify a cursor, you will get a default hardware cursor. Note: Software Cursor motion will be limited to your game’s frame rate, unlike a regular mouse cursor that is rendered by your operating system. This is the main tradeoff to consider. The binding system for widgets has had a massive overhaul to allow support for binding to sub-properties and functions on the widget, and to greatly improve performance! Bindings are based on a dynamically evaluated set of fields rather than using Blueprint scripting. Direct bindings to both C++ or Blueprint functions are supported! We have a whole new Visual Logger tool with lots features. This is designed to help you debug and fine-tune AI in your project! Log out events, then use powerful tools to search on a timeline. This video shows an example. Items on the timeline with warnings are now shown in yellow, and items with errors in red. You can use a special Debug Camera to fly around while the game is paused. 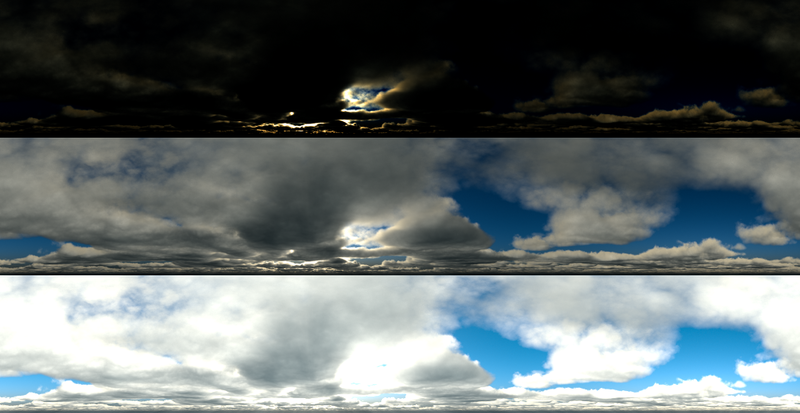 This new feature allows you to configure the order that the renderer draws translucent objects. This is really useful for 2D games! Sort by Distance: Sort based on distance from the camera to the object’s bounding sphere center. This is the default and typically the best for 3D games. Sort by Projected Z: Sort based on the post-projection Z distance to the camera. This setting can cause popping as the camera rotates. 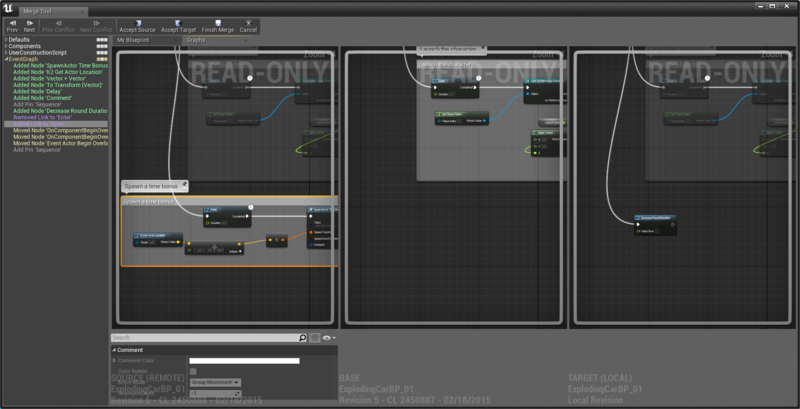 Blueprint loading has been redesigned so that it should be able to handle any “cyclic” scenario you throw at it. Your Blueprints can intermingle and cross-communicate all they want, and most importantly: they will load up properly next time around. This addresses many Blueprint on-load crashes, and other scenarios where Blueprints could be loaded in a malformed state! 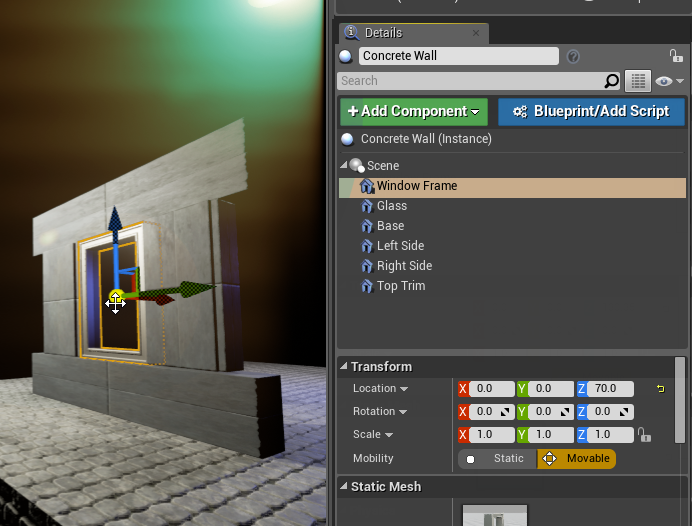 We’re continuously working to make C++ in Unreal Engine easier to use and more familiar to everyone. No special constructors needed! Your class constructors no longer need to take an Object Initializer argument. 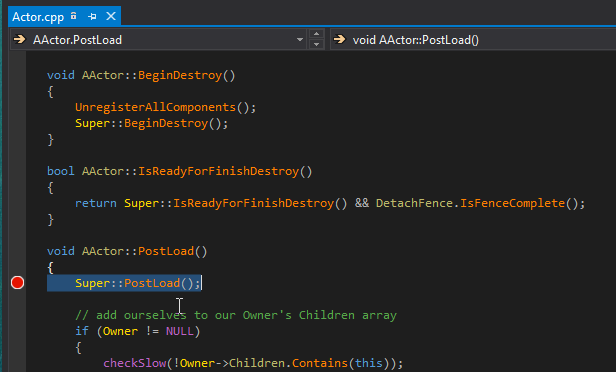 Creating sub-objects for Unreal classes now has a new simple syntax. Animation pose calculations are now offloaded to multiple CPU cores reducing the overall amount of time the engine takes to calculate animation. 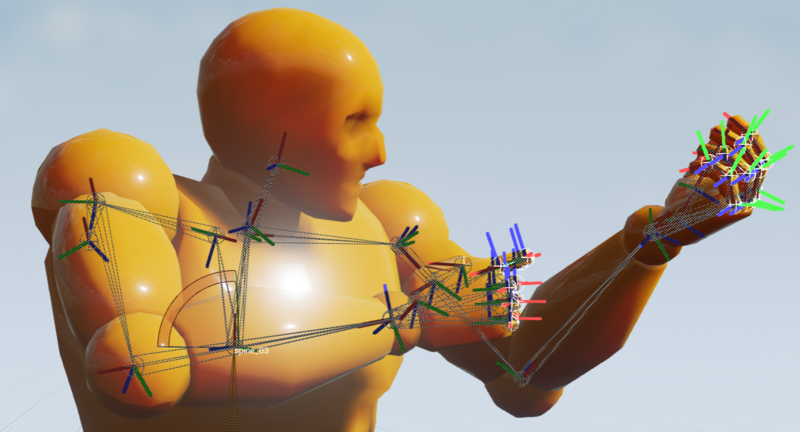 This improves performance in games with many animated skeletal meshes! OpenGL ES 3.1 (combined with the Android Extension Pack) gives you the ability to use much of the full desktop rendering experience on Android devices! This feature is currently in beta testing, please provide feedback. “ES3.1+AEP” is now a selectable target in for building and cooking. Tegra K1 devices (for instance, the NVIDIA Shield Tablet) have been used for testing and development. More and more devices will be supporting AEP in the future! Enable it via the “Enable OpenGL ES31 + AEP” option Android Project Settings. Note: Currently, you’ll need to compile the engine yourself from the source on GitHub to use this feature. Note: Blueprint-only projects will need to recompile the base UE4Game executable with OpenGL ES 3.1 support by enabling bBuildForES31 in the engine’s BaseEngine.ini file. Downloadable content (DLC) can now be packaged up for distribution! Currently this feature is in beta testing and requires a command-line tool. Create your add-on DLC inside a game plugin Content folder, and use the new packaging tool to “cook” and optimize your content for your platform of choice. This feature makes use of the game’s asset registry to know what content is already supplied in the shipped game, and will cook anything needed from the game’s content into the DLC. To use this feature, run the cook utility for your main game with “-CreateReleaseVersion=x.y”, then again for each DLC plugin with “-BasedOnReleaseVersion=x.y -DLCName=MyPluginName”. Loading movies and startup movies now play on Android devices! You can configure startup movies to play in your Project’s Settings. Android movies must be in MP4 format to play correctly. Also, the movie playback feature requires a device with Android 4.0 or above. You can now set the locations for the SDK components needed for Android development directly in the “Android SDK” section of Project Settings. This can greatly simplify the initial setup! 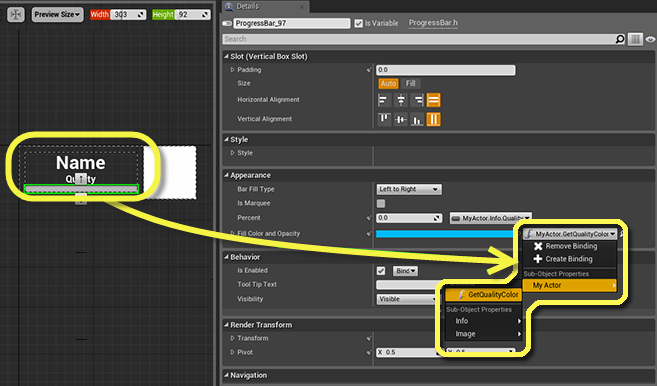 You can once again access variables from other Blueprints without having to make those variables “Editable”. This was already possible in the 4.6 release, but not in 4.7. Sorry about that! Keys defined in a Blackboard asset can now be marked as ‘synced’, which synchronizes its value across all AI using it. This allows you to synchronize behavior across multiple AIs, or be can be used for communication between them.